I don’t suppose it’s possible to have a relationship with a car, though I know many people who lay claim. That being said, I love my Mini. In the middle 70’s, before most of my nursing students were born, a friend of mine had a white Morris Mini Minor, the original Mini. Rodney was a lucky man. He could have a Mini, because he could fix a Mini, something he seemed to do constantly. I don’t know where he got his parts, but I do know that some of them he had made in a machine shop. Rodney said his Mini was a flying shoebox, and he drove it that way. Times have changed. 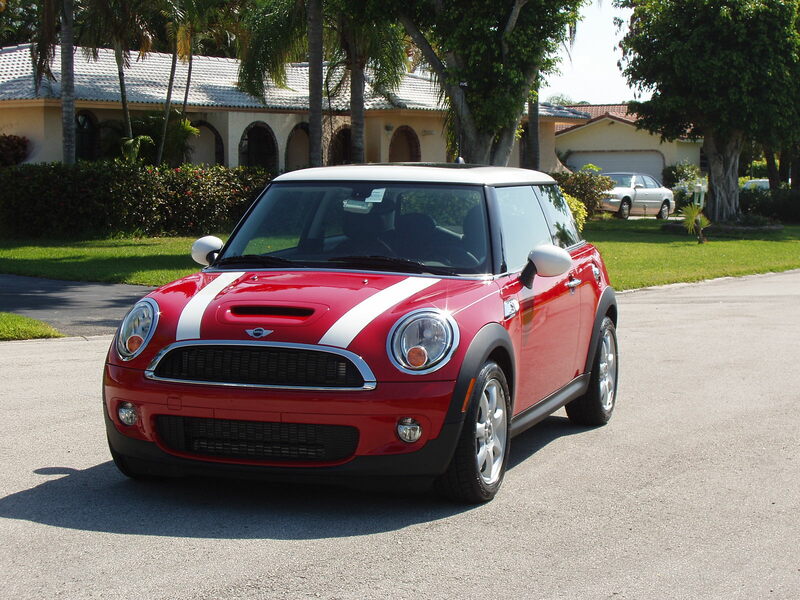 The first modern Mini I saw was parked in front of the Quarterdeck a few years ago. I was drawn to the cute-ugly little car, wandering around it and peering inside, looking for the name in my memory. My son thought I’d lost my mind. My husband tolerated my behavior, perhaps knowing what would happen in the future. I’ve always had a thing for little red sports cars, and I’ve had several over the years. The Mini Cooper S feels like that. Certainly the six speed stick and the turbo provide a sports car like experience, but with interior roominess, creature comforts, and a reasonable price tag. Did I mention that BMW owns Mini? Hence the conveniences, safety features, and solid feel. Beyond that, I think it’s cute, sporty . . . lovable.